Don't make the mistake of paying inflated shopping centre prices on your Canon MF4140 toner cartridges because we'll provide you with a much better solution as a low-cost online store. We pride ourselves on offering Canon toner cartridges which you'll find less costly to purchase. Feeling not convinced? We offer customers free delivery so customers can get an even more substantial bargain for all Canon MF-4140 toner. We back any order of MF-4140 laser printer cartridges with a cast iron money back guarantee so we can be certain of effective operation. Cartridge Save will happily offer a total refund in the very unlikely case that a Canon MF4140 toner does not operate as expected, so why accept something less? The Canon i-SENSYS MF-4140 is essentially the same machine as the MF-4120 only it offers higher print resolutions of up to 2400x600 dpi, which means crisper, better quality prints. The copier retains a maximum resolution of up to 600x600 dpi, while the scanner can still be set to a maximum resolution of up to 1200x2400 dpi. The Canon i-SENSYS MF-4140 laser printer can produce monochrome documents at a rate of 20 ppm, which is the same rate as the previous model. In addition to higher print resolutions, the i-SENSYS MF4140 also offers fax capabilities. While the Canon i-SENSYS MF-4140 laser multifunctional closely resembles the previous MF-4000 models, the machine adds fax functionality, and improved print technology, which allows higher resolution outputs. The control panel still sits on the protruding panel in front of the flatbed scanner. The fax component has a 33.6 kbps modem, while the paper tray offers a maximum capacity of up to 250 pages. The addition of an auto duplexer also makes the Canon i-SENSYS MF4140 all-in-one printer a better choice for office users. The Canon i-SENSYS MF-4140 printer boasts compatibility with both Windows and Mac computers, while the device also supports a wide range of print media. The scanner offers close to original duplicates, plus the software package that comes with the unit offers excellent programs for improving print, copy, scan, and fax features. 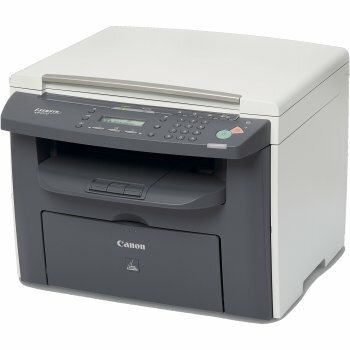 The Canon i-SENSYS MF-4140 is a huge improvement on previous Canon MFPs but the Canon MF-4140 still lacks wireless connectivity and does not support colour printing.